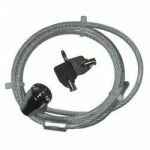 Protect your notebook computer and other valuable equipment from theft with the Notebook Security Lock from Belkin. 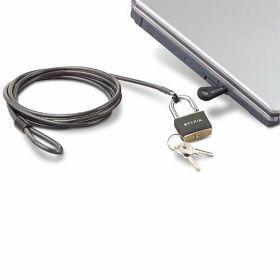 Our unique locking device lets you secure any laptop in seconds. 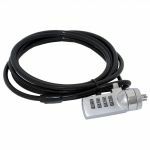 Simply attach the pivot clamp to the security slot on your notebook computer, docking station, or flat-screen monitor, and create an effective physical and visual theft deterrent. 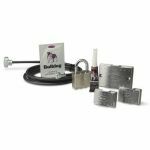 For your convenience we've included a six-foot, aircraft-grade steel cable, a padlock, two keys, and a nylon carrying bag for easy portability.